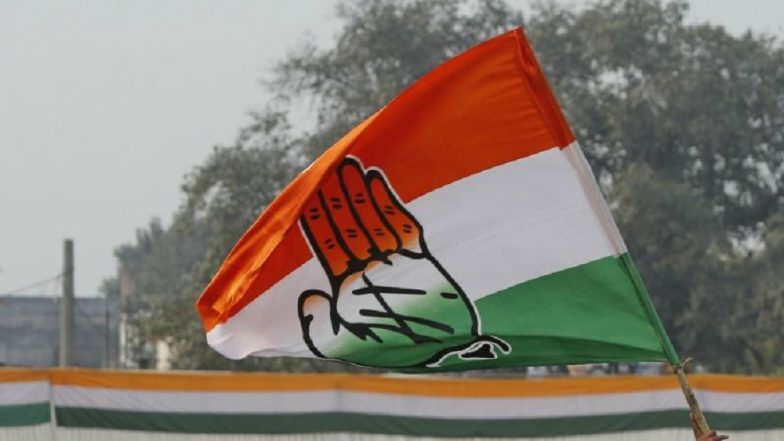 New Delhi, March 21: The Congress on Thursday released its list of three candidates for the upcoming Lok Sabha elections 2019 in Andhra Pradesh, along with a list of 45 candidates for the assembly polls. The two lists came shortly after the BJP issued its first list of 184 candidates for the general elections. The latest list for the Lok Sabha polls, released by the Congress, names Ramana Kumari Pedada as the candidate from Visakhapatnam, Naraharisetty Narasimha Rao from Vijayawada and J Lakshmi Narsimha Yadav from Nandyal. Elections to the 176-member Andhra Pradesh assembly will be held on April 11, 2019. The primary contest, as per the pre-poll surveys, is between the YSR Congress Party (YSRCP) and the ruling Telangana Desam Party (TDP). The Congress and the BJP are also contesting independently without a joining a coalition with any of the major regional parties. Meanwhile, elections will also be held for the 25 parliamentary seats of Andhra. As per the latest opinion poll released by Times Now-VMR, the YSRCP is predicted to win 22 Lok Sabha constituencies, whereas, the TDP is expected to be restricted to 3.